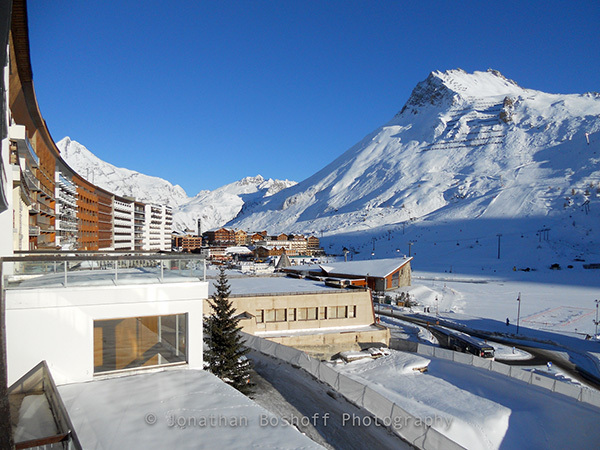 This spacious 3 bedroom apartment is located in the heart of Tignes le lac at the top of Rue de la Poste. 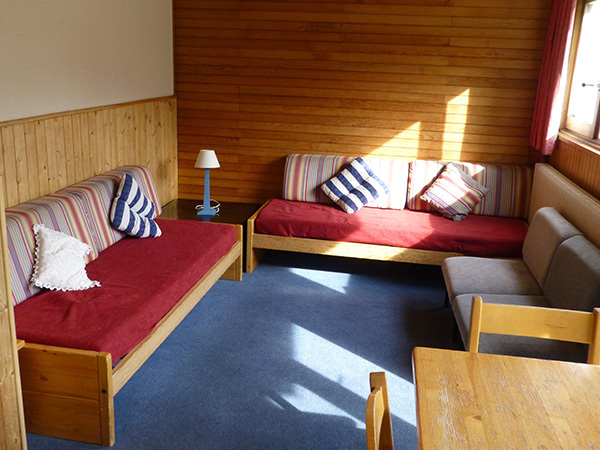 It has easy access to ski schools, the Lagon leisure centre, restaurants, shops and bars. 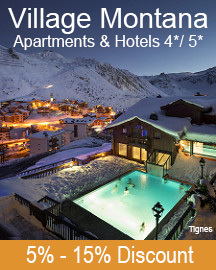 The apartment has one of the best views in Tignes, it looks out over the lake, the Toviere and round to the Grande Motte and Grand Balme peaks. 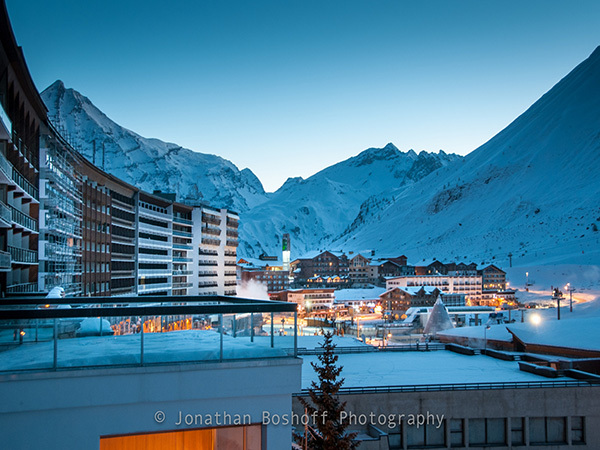 The Chardonnet ski-lift and the end of the Chardonnet ski-run is just twenty metres from the front door. 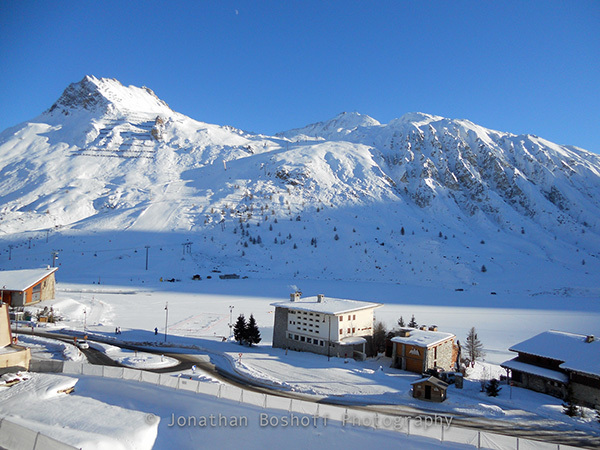 The Combe Folle building is located in the heart of Tignes le lac at the top of Rue de la Poste. 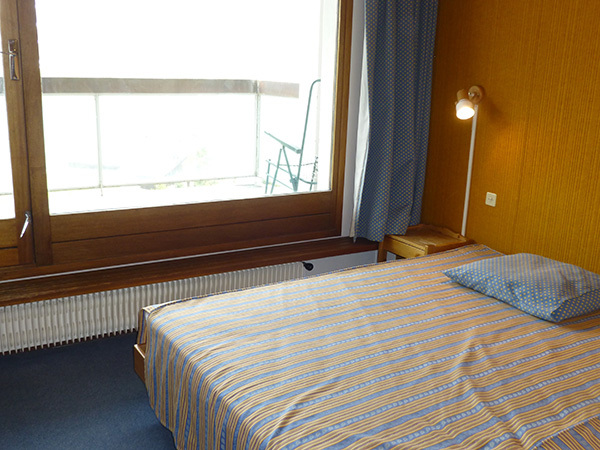 It has easy access to ski schools, the Lagon leisure centre, restaurants, shops and bars, the Chardonnet ski-lift and the end of the Chardonnet ski-run is just twenty metres from the front door. 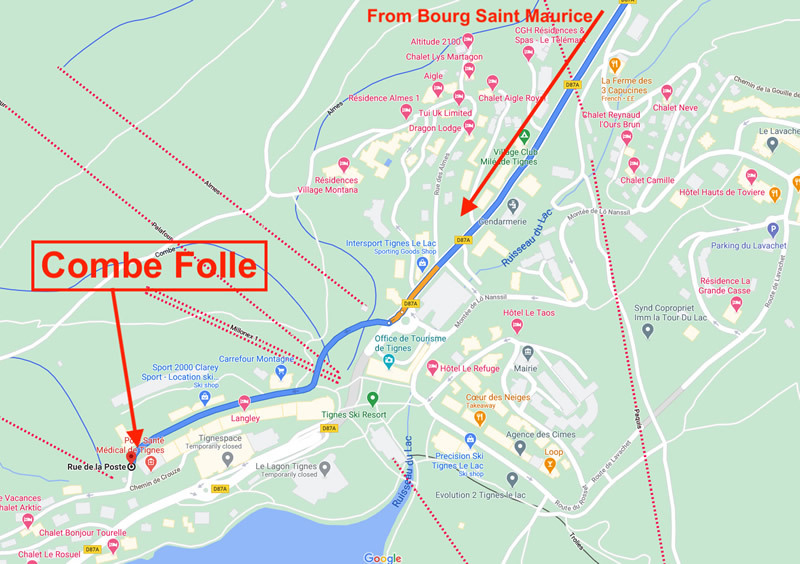 The Toviere gondola and Palafour chairlift are just at the bottom of the street, approximately 150 metres away. 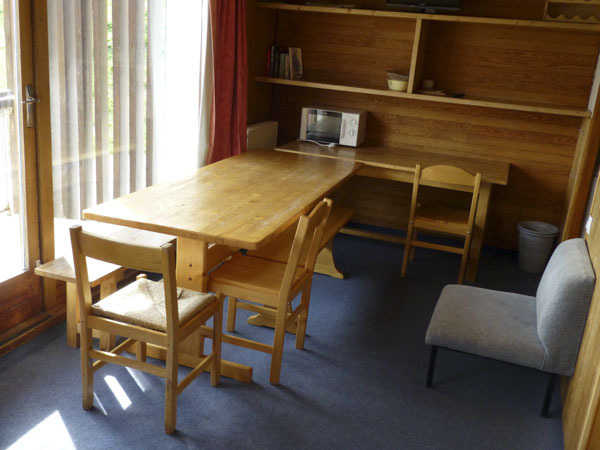 The Combe Folle property is unique in that not only is there the main 3 bedroom apartment, there is also a studio across the hallway equipped to sleep 2 people in a double bed (this can be rented separately). 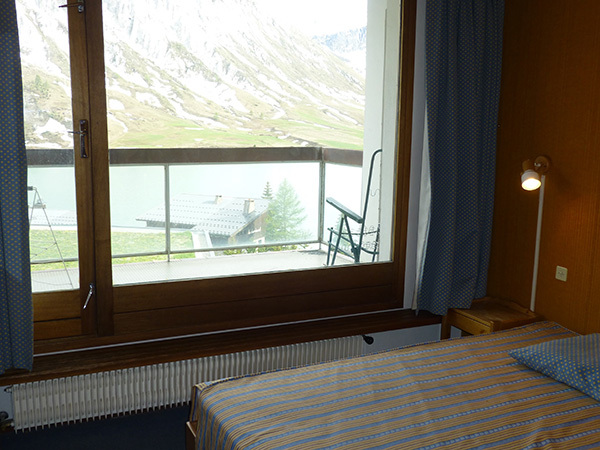 The main apartment has one of the best views in Tignes, it looks out over the lake, the Toviere and round to the Grande Motte and Grand Balme peaks. 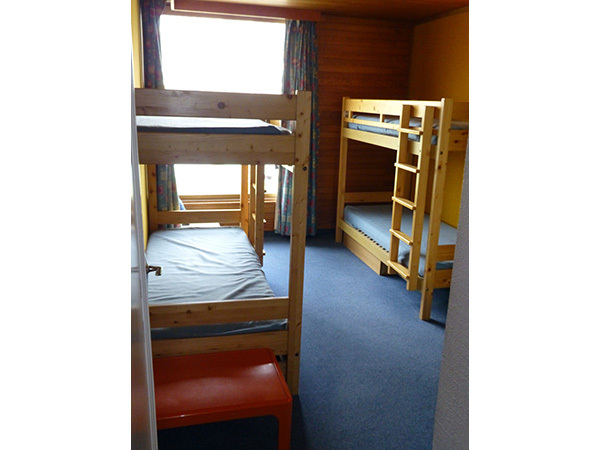 As you enter the apartment there is a large hallway leading off to two double bedrooms and a third bedroom with two sets of bunks. 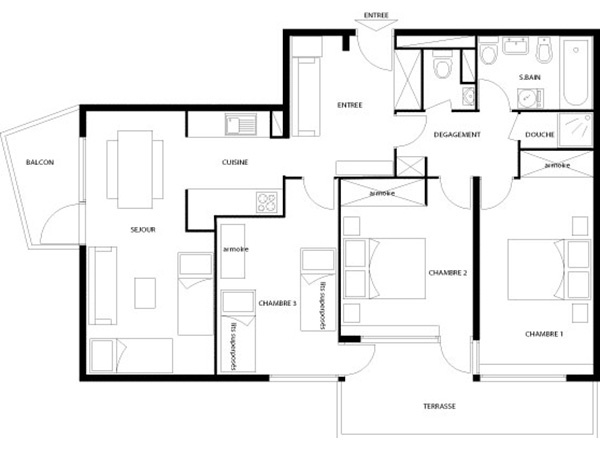 The corridor to the left leads to a master bathroom, plus separate shower room and toilet. The corridor off to the right leads through to a well equipped kitchen then into the dining area and bright living room. There's a south facing balcony in this area, plus another separate south-east facing balcony which can be accessed from all three bedrooms. 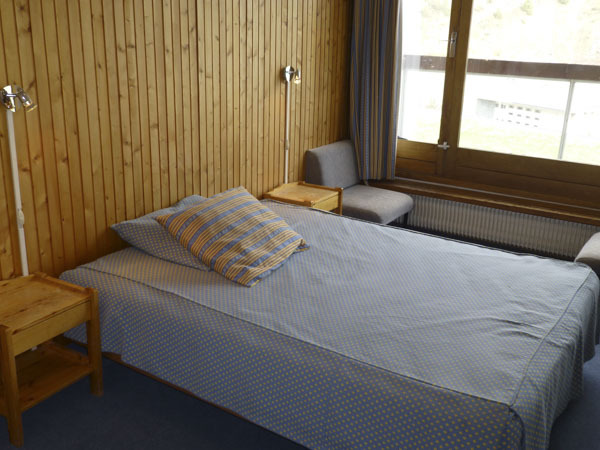 This apartment is great for families or large groups and has a good layout with plenty of space, the decor is a little "old fashioned" but nonetheless it's got all the amenities you'd need for your holiday in Tignes! 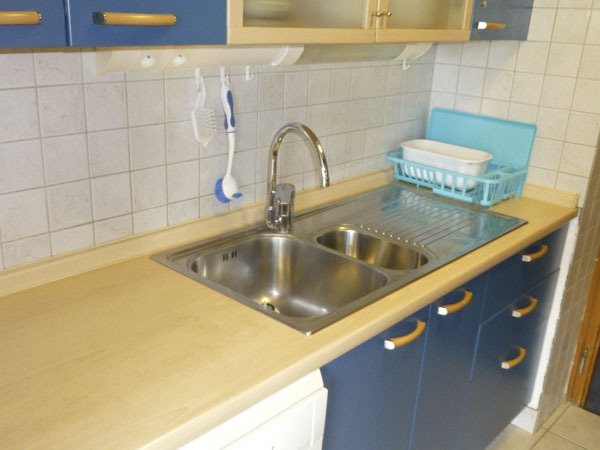 The kitchen has a four ring hob, oven, microwave, dishwasher, coffee machine, fridge, kettle, and plenty of utensils and kitchen essentials for cooking meals at home. 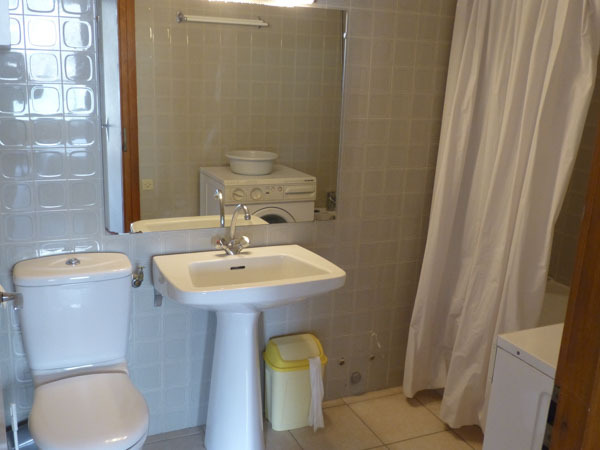 The main bathroom has a bath with shower fitting, sink, toilet and a washing machine. The separate toilet also contains a sink. 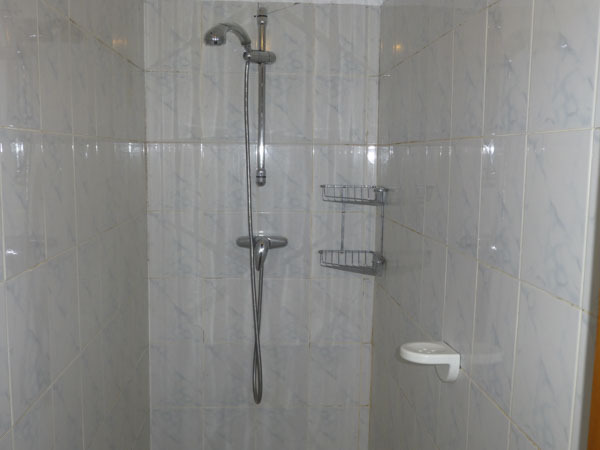 The shower room is a tiled wet room. 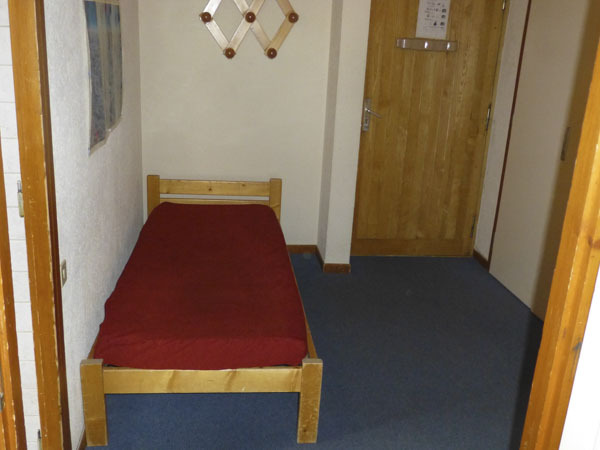 There is a ski locker on the ground floor of the apartment. 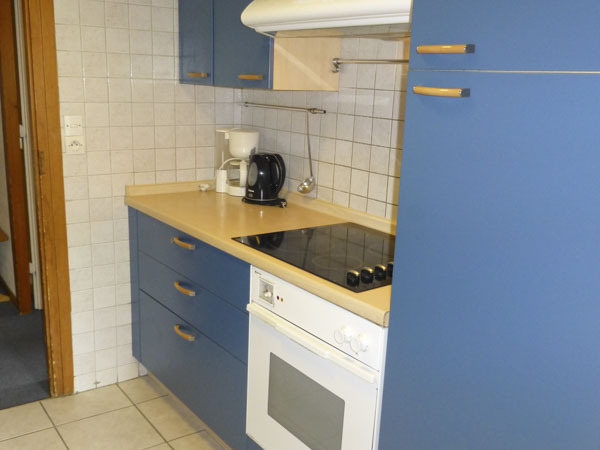 In the studio you'll find a kitchenette with 2 ring hob, fridge, kettle and utensils and crockery and cutlery. The bathroom has a shower unit, toilet and sink. THE PRICES ABOVE ARE FOR THE RENTAL OF APARTMENT 1B.